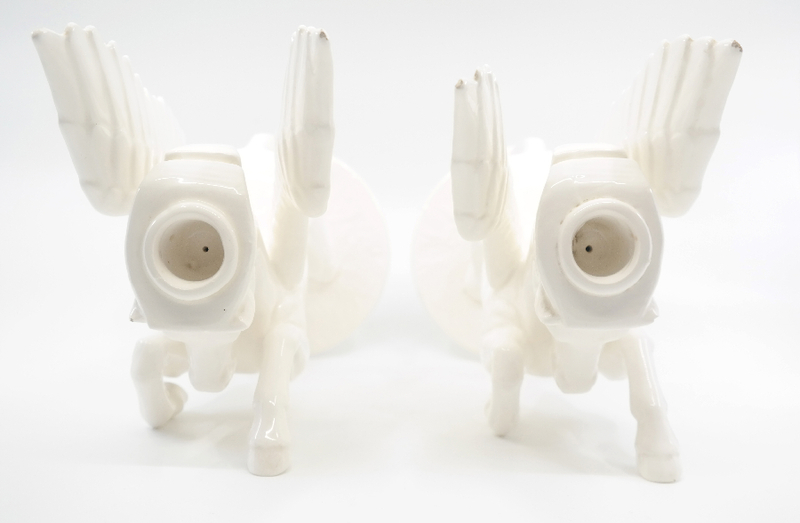 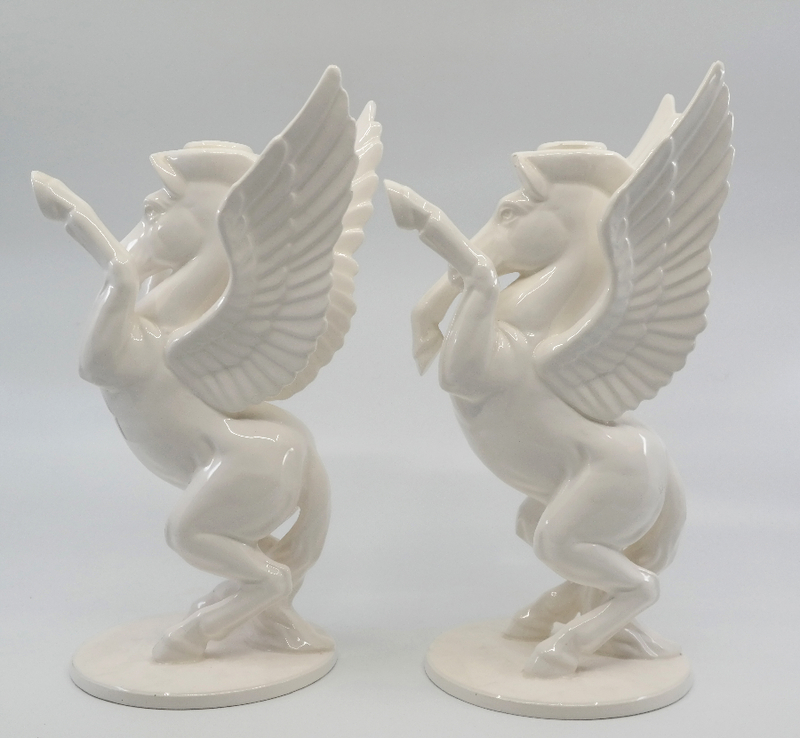 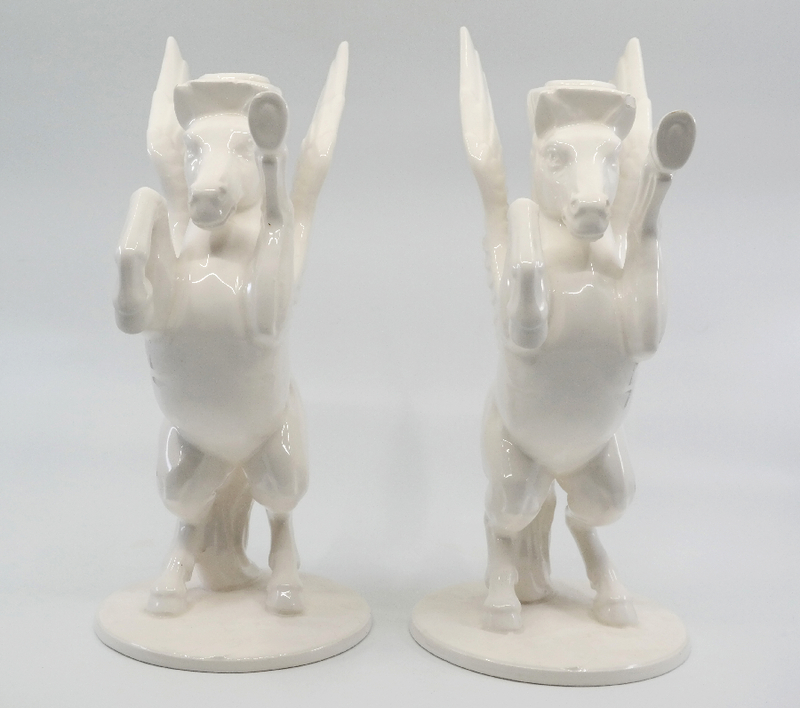 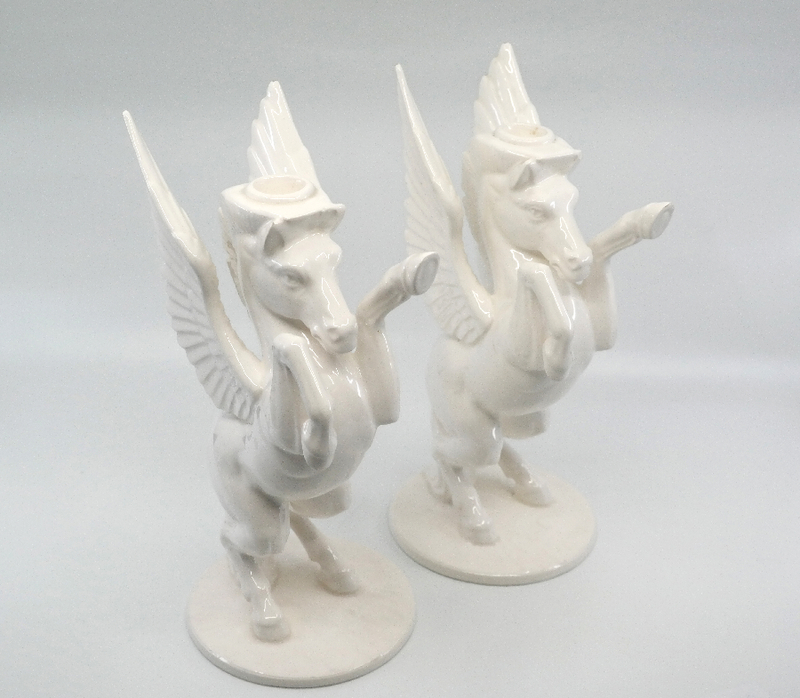 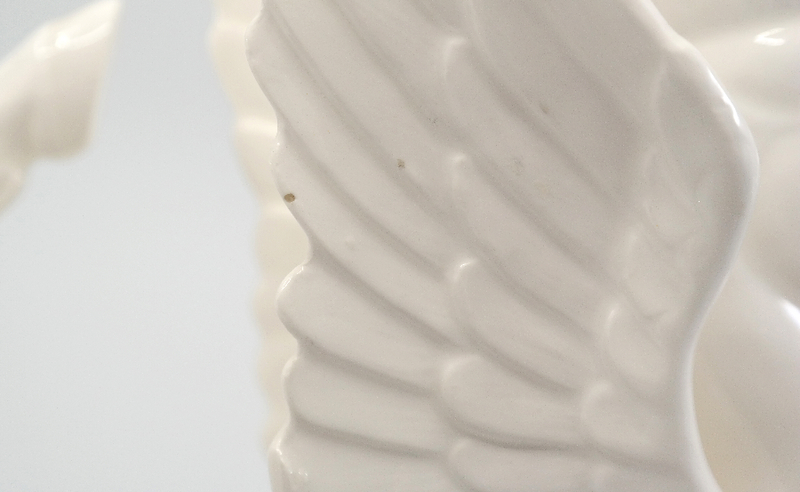 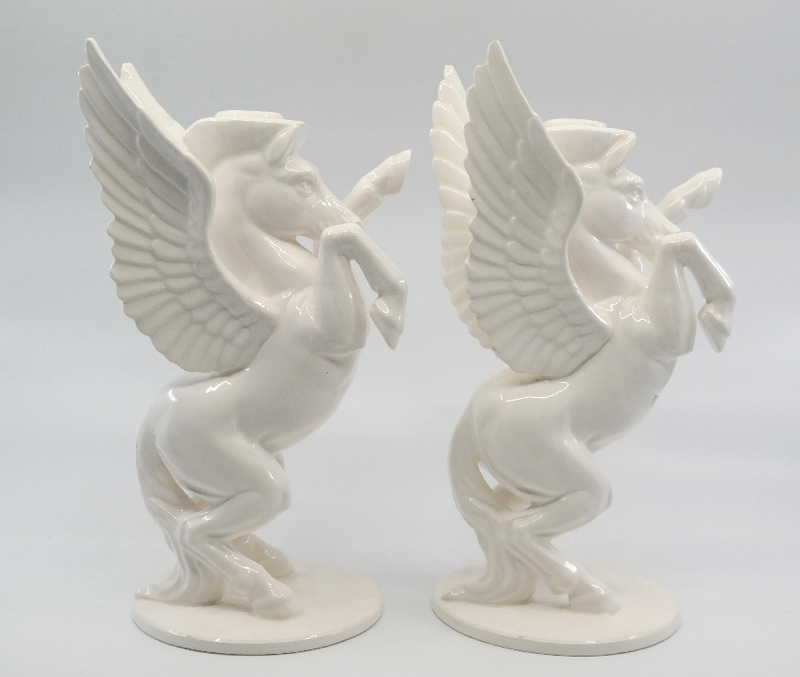 This is a very rare pair of Ceramic candlesticks depicting the pegasus from Disney's animated classic, Fantasia. 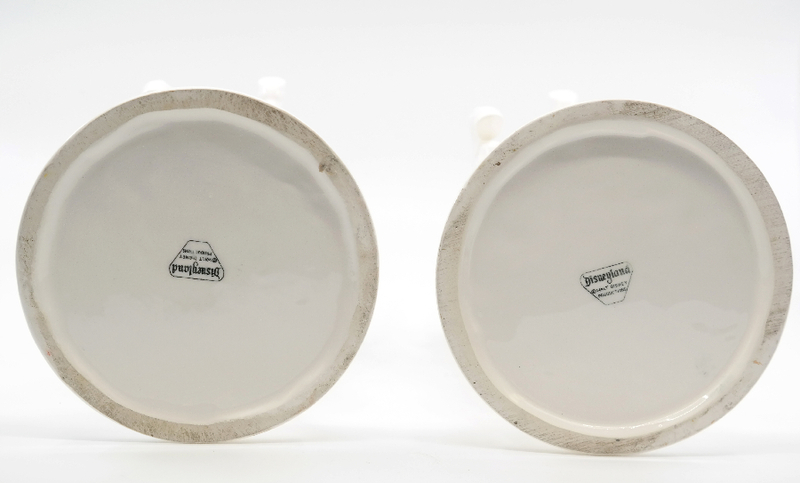 Based on the stamps on the underside of the candlesticks, these are likely from the late 1950s or 1960s and were sold in the Disneyland theme park as a souvenir. 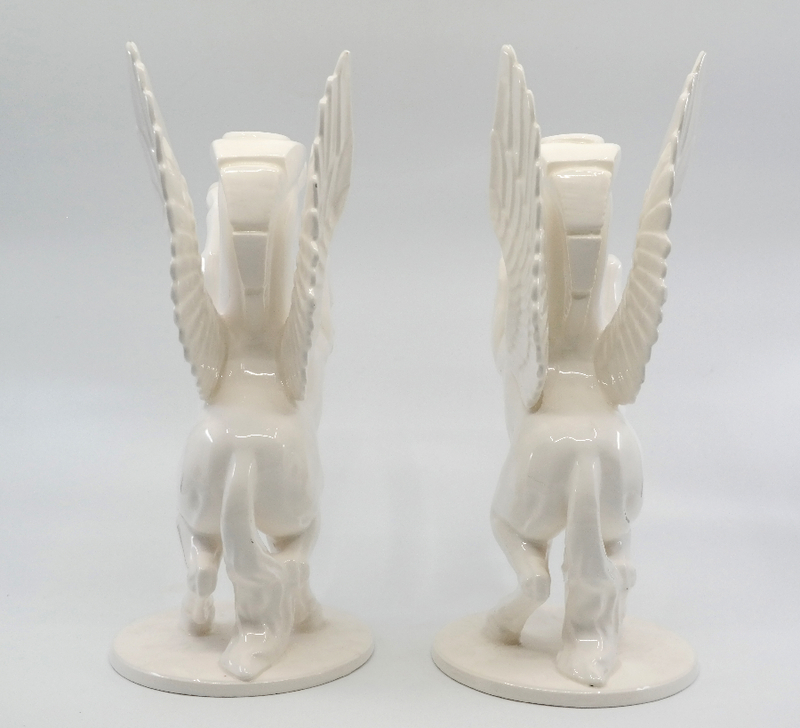 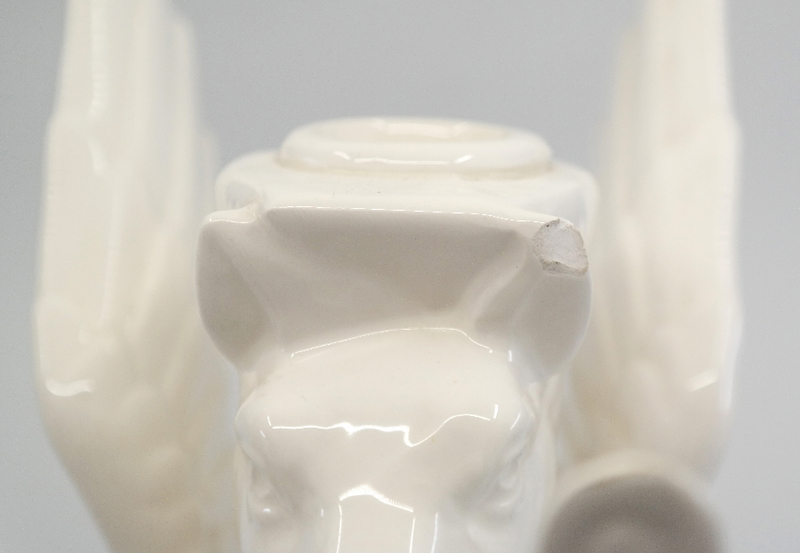 The candlesticks measure 11" x 6.5" x 5" and are in good condition with some wear from use, including small chips at the tips of wings, a chip on the ear and left wing of the right side candlestick holder.